Ellie Hazlett is a multimedia artist based in Chicago. She experiments with textures and materials to transform environments and perspectives. Most of her fine art examines and reflects sociopolitical issues regarding gender, privilege, and positionality. Ellie’s work has been shown in galleries and shows throughout the United States. 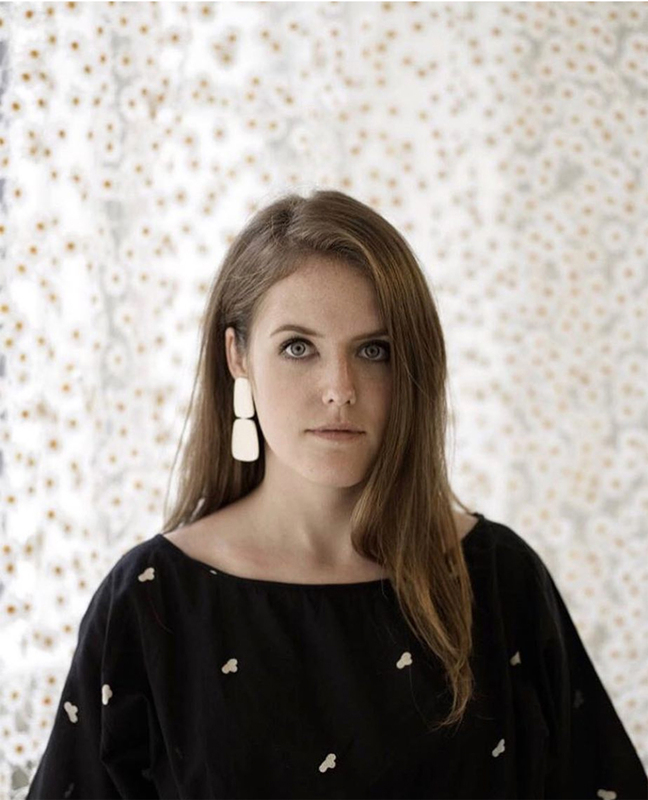 In 2018, she began Ellie Hazlett Studio upon multiple requests for custom wallpaper designs based off her art installation, “Untitled (A Period Piece)”. With her love of design, fine art, art history, and spatial transformation, Ellie Hazlett Studio has become a collaborative platform to work directly with clients to create unique art and spaces. Ellie received her MFA from the School of the Art Institute of Chicago in 2017 and her BA in Visual Art and Art History from Union College in 2009.